Our Classic Kimchi is made of seasonal and locally produced Chinese cabbage. 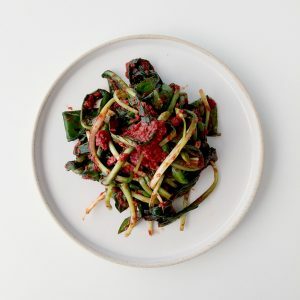 It is flavored with our special vegan Kimchi paste so that everyone can enjoy it. Ideally better to eat it in 2-4 weeks time and store in the fridge (below 6°C) always. 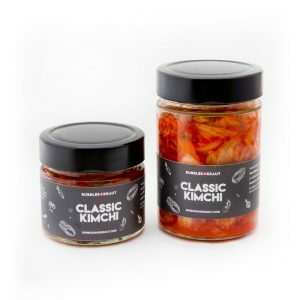 You can find recipes for enjoying new and old Kimchi on our social media channel, Facebook, Instagram, Twitter, Pinterest, and YouTube. *Please contact us directly to products@bubblesandkraut.com if the online order doesn't work. FYI, only available to pick up the order at our Cooking Studio, Markhofgasse 19, 1030 Vienna, Austria. Thanks for your understanding! Our Caramelized Kimchi is made of our long fermented Classic Kimchi. It is slowly caramelized Kimchi and flavored with soy sauce, sugar, and a hint of sesame oil. You can keep it in the room temperature (below 25°C). After opening the jar, ideally better to eat it in 2-4 weeks time and store in the fridge (below 6°C) always. You can find recipes for enjoying new and old Kimchi on our social media channel, Facebook, Instagram, Twitter, Pinterest, and YouTube. 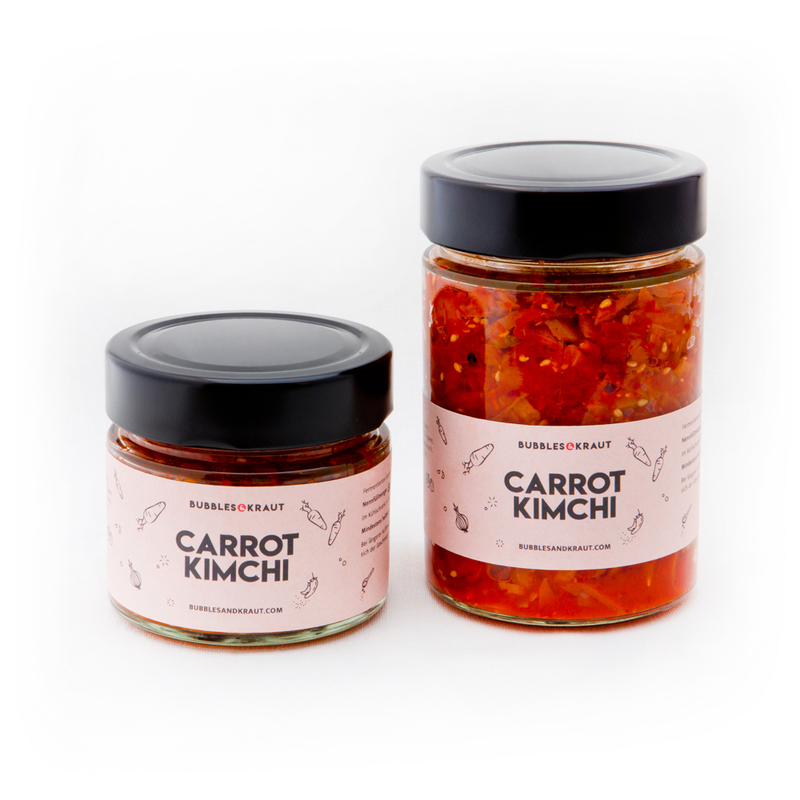 Our Carrot Kimchi is made of seasonal and locally produced carrot in Austria. Especially, we tried to use still good but wasted carrots since so much carrots are produced more than it needs and thrown away. 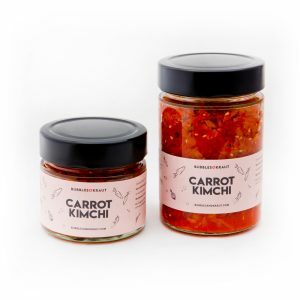 We are working on an alternate version for people who is not a big fan of spicy food, eventually, our Carrot Kimchi will be non-spicy for various range of Kimchi product line so many people can enjoy! Kimchi Juice – The Elixir of Life! Our pure Kimchi juice comes from our own homemade, vegan Kimchi. It can be used as probiotic salad dressing, to spice up your marinades, or simply as a healthy shot. Due to natural fermentation, it guarantees lots of probiotic bacteria to strengthen your gut flora and improve digestion. Have a try! *Please contact us directly to products@bubblesandkraut.com if the online order doesn't work or would like to order bigger size. FYI, only available to pick up the order at our Cooking Studio, Markhofgasse 19, 1030 Vienna, Austria. Thanks for your understanding! 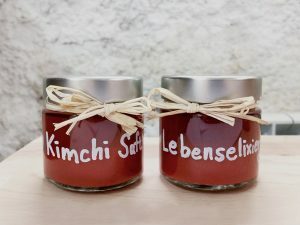 It's a great gift for Kimchi lover or going to be the one of them to try. We have 3 different sets and they are available for pick up only! This is one of our new creation, freshly brewed Ginger Beer based on Water Kefir. It's a healthy beverage and great for refreshing. Just try and get bubbly! Ingredients: Will be updated shortly. Serve and drink it at a cool temperature in 2-4 weeks time and store in the fridge (below 6°C) at all time. You can find cocktail recipes for enjoying our Ginger Beer on our social media channel, Facebook, Instagram, Twitter, Pinterest and YouTube. 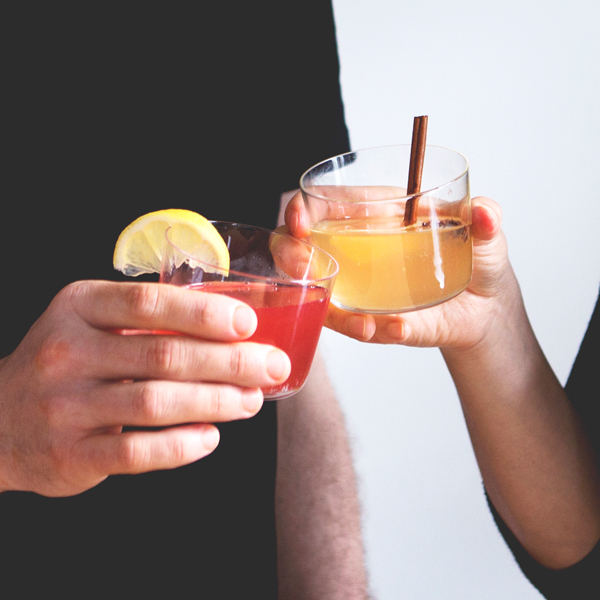 *Our fermented drinks (including Kombucha and Water Kefir) are not available to buy or order online at the moment but you can taste at our workshops and events. Please check out our upcoming workshops and events! Give a great moment of life to your beloved ones! How about giving this workshop experience as a special present to your friends and family? It's not just a present, you are giving a great moment in their lives. How wonderful! 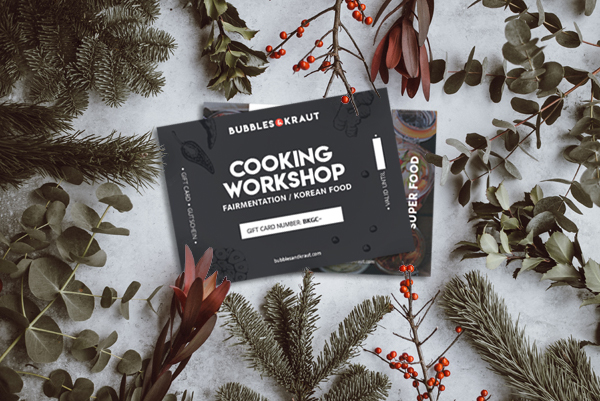 *Please contact us directly to workshops@bubblesandkraut.com if the online order doesn't work or you have any questions regarding the gift card. Rinse your work stress with healthy Probiotic Fermented Drinks on Friday evening. 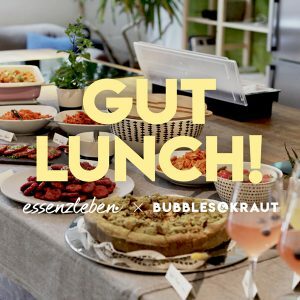 We will give a showcase of how to make your own fermented drinks at home and share our knowledge with you over the fermented cocktail! 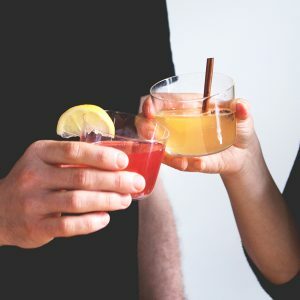 You will get to dive deep into the traditional fermented drinks made with Kombucha, Jun Tea, Water Kefir, and Ginger Bug. It starts with tasting pure and flavored fermented drinks first to get to know them. After that, we will give you a showcase of all 4 different fermented drinks how they look and work and share the fermentation knowledge and recipe. And we will wrap up with drinking cocktail, which made with fermented drinks, with some snacks (Kimchi biscuits and tofu crackers). While we are giving away SCOBY and Water Kefir grains, we can discuss further about fermented drinks. Please reserve your spot(s) via email to workshops@bubblesandkraut.com or send us a facebook message. Spring is sprung! Seasonal Kimchi is always the best because the vegetable is in its peak time of the year. We are going to make a special Spring Kimchi with a seasonal vegetable, and also the classic Kimchi aside. It's simply great! Come and join us! 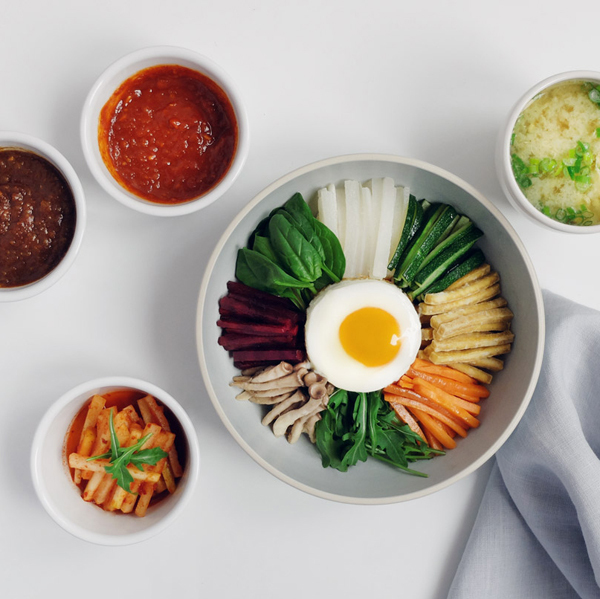 'Bibimbap’ is our way of sharing, intermingling, bonding, and creating balance. Fresh seasonal vegetables become healthier when combined with the art of fermentation. The essence of the Korean flavor is the sauce, with soy sauce, chilli and soya bean pastes, you can define the basic but unique flavor of Korean food. And for ‘Bibimbap’ these sauces are the key. We will share very basic, yet creative and healthy sauce recipe with you. You will get to dive deep into the traditional Korean food culture. It starts with Welcome Drinks (Water Kefir and Ginger Beer) and gets to taste of two sauces with Korean rice roll. After that, you will get some hands-on experience on how to prepare Bibimbap. Next up there will be a sumptuous and exotic Korean feast with devoted Bibimbap and various Kimchi on the side. That’s a time to share stories around Korean food culture in a casual setting while enjoying a well-deserved meal. Summer is on its way! Seasonal Kimchi is always the best because the vegetable is in its peak time of the year. We are going to make a special Summer Kimchi with a seasonal vegetable, and also the classic Kimchi aside. It's going to be a cool start of the season! Come and join us before our summer break! You will get to dive deep into the traditional Korean food culture of fermentation. It starts with fermented Welcome Drinks (Kombucha, Water Kefir and Ginger Beer) and gets to taste fermented foods (Kimchi and some Korean snack). After that, you will get some hands-on experience on how to make a Kimchi. Next up there will be a sumptuous and exotic Korean feast made of fresh ingredients and various Kimchi on the side. That’s a time to share stories and experiences, and exchange fermentation knowledge in a casual setting, while enjoying a well-deserved meal. Easter Break – Hop Hop Hop – See you in May! Spring is sprung! Spring heralds the return of the sun's warmth, the renewal of life, and the reappearance of green and color everywhere. We are having Easter Break and our kitchen will be closed during Easter Holiday time from 15th April till 30th April. Happy Easter! 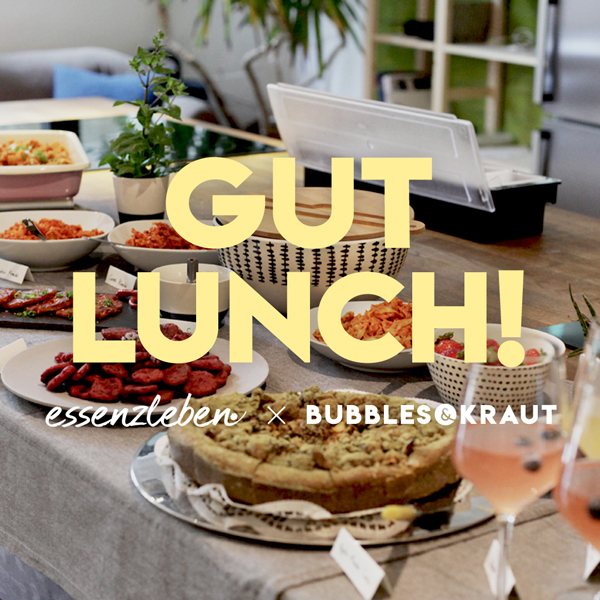 Come and join a nice, relaxed Saturday lunch buffet with Essenzleben and Bubbles & Kraut at Markhof. We felt just sharing our moment of life having a great meal is simply wonderful and would like to have you as part of it. We offer a comprehensive buffet with Asian-inspired locally produced delicacies and fermented delights. RSVP at events@bubbesandkraut.com or click „going“ on our facebook events page and join our GUT LUNCH! 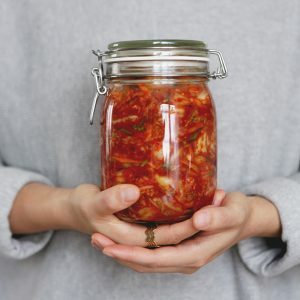 Community Building and Food Waste Reduction through FAIRmentation, Workshops and Kimchi! We like to eat. You like to eat. Let’s eat together! Join us on our journey through the wonderful world of FAIRmentation. We offer workshops, fermented drinks, and Kimchi! Hello! 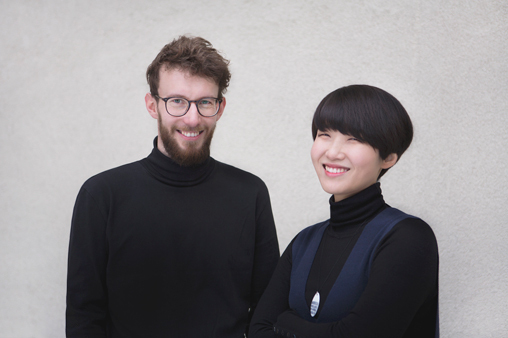 We are Jo and Alex of Bubbles & Kraut and we want to make healthy and delicious kimchi and other fermentation products made from the highest quality ingredients. Fermentation is a simple way to preserve vegetables that has already been used for hundreds of years. It offers a lot of freedom for creativity through which a huge variety of new and tasty foods can be created. By sharing this knowledge with a community, we believe we can have a positive impact on food sustainability and reduce food waste in Austria. Being eco-fair and eco-friendly along the value chain are our top priorities, we call what we do FAIRmentation. All of our products and workshops are based on this idea. Kimchi is a kind of fermented vegetable that has its origins in Korea. It is traditionally made of Chinese cabbage. 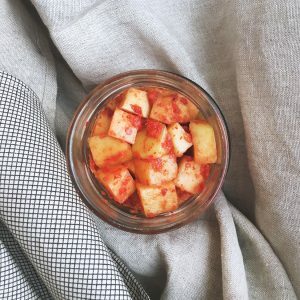 Like all fermented foods, Kimchi contains lots of healthy probiotics that work wonders for your gut flora and is rich and tasty. Our Kimchi is produced based on the seasonal availability of the ingredients in Austria. It’s locally produced, hand-made, vegan and oriental in flavor! Fermentation can also be used to create delicious drinks filled with healthy probiotics which revitalize your gut flora. During the process of fermentation, microorganisms turn sugars into carbonic acids creating an optimal environment for the flourishing of healthy probiotics. Through our careful combination of fruits, herbs and spices, and teas, we produce our own refreshing varieties of Kombucha, Water Kefir, and ginger Beer with almost no sugar. Fermentation is a lost art of preserving and making healthy foods using lacto bacteria. It has been used for thousands of years and is a simple way to not only make your own tasty food, but to contribute towards a more sustainable environment. Workshops are a place to learn and share. We want to connect with you to share our knowledge and learn from yours. Our goal is to foster, develop, and expand the idea of sustainability together. In our workshops, you will learn about FAIRmentation. We’ll be making kimchi, fermented drinks and other fermented products, as well as explore the art of sustainable cooking. But what’s most important is that you have a good time in a relaxing and fun environment with a group of like-minded people. Our workshops always include a communal meal, so we can share our thoughts and ideas, enjoy food, and build a community together. Cooking is caring for others. It is a gesture of generosity and hospitality that functions as social glue; it amplifies social relations and translates thoughts into food. We would like to offer a place of communication and build a community that allows diversity through food culture. Our communal fermentation and cooking workshops are shared with interesting people from all walks of life. Everyone likes a party, but what about the food? Bubbles & Kraut provides small-scale catering services for those who want to dive deeper into the world of fermented foods. We offer various kinds of kimchi, fermented drinks, and a range of tasty Korean-inspired finger foods. Open up the food experience at your business lunch or party, or make it interactive and let’s cook together at your home. Join our monthly newsletter for the inside scoop on fermented products, our upcoming workshops, community events and special deals!